Drawing people face side view. This is a simple tutorial on how to draw people face side view, in this tutorial is a female profile. If you are using reference, you must have good reference. You have to make sure your face reference has strong light and shadow. 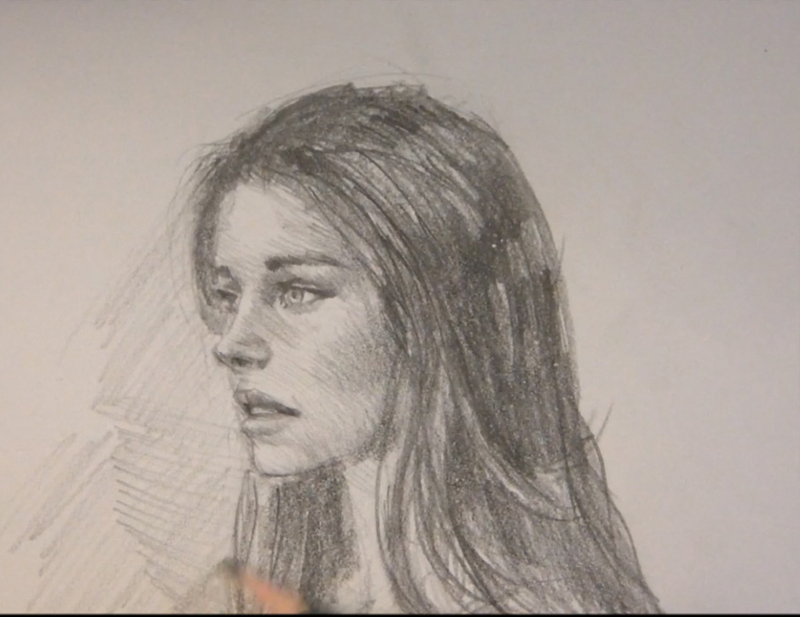 Most portrait drawings I have seen have weak lighting to none. That is because of the reference you have is from a camera using flash. Flash makes everything flatter. So look for reference that have hard light, strong contrast and great shadow area. Once you find good reference, your job is half way done. You have to first identify the strong shadow area first. Once you locate the shapes of shadow, then you can start sketching. Make sure you separate the area of light and shadow. If you understand all that, your portrait will turn out well. If you aren’t using the reference, you can just follow along the video tutorial. You will be fine.